World Water Day is on Saturday, March 22. It is a day for all of us to acknowledge and raise awareness of the world water crisis. It is hard to imagine life without access to fresh water. Think about just how much water plays a role in our lives, every single day. What would I do if I couldn’t immediately fill up my water bottle with clean water each day when I am parched? Or if I had to walk for miles to collect fresh water for my family? 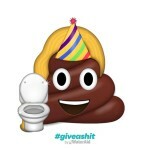 What if I couldn’t flush my toilet? It sounds like something out of a tale from biblical times, but this is still the case in many parts of the world. But there’s good news. You can help! We all have a water story. Mine in particular is that time that I got dysentery from brushing my teeth with tap water while I was deployed in the middle east. Bleck. These stories are the moments that remind us of how important access to water and a toilet can be. 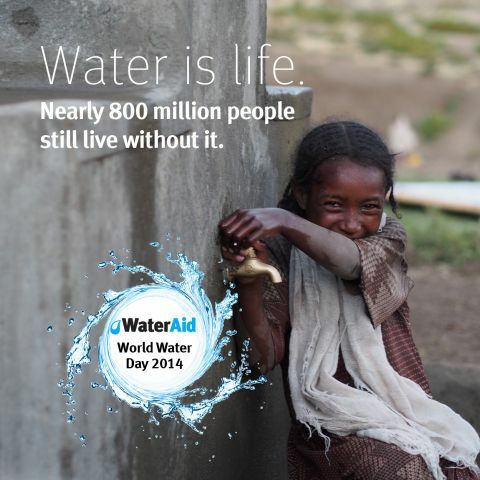 WaterAid wants to hear your #waterstory. Be sure to blog it, tweet it, Facebook-it, and tell @WaterAidAmerica about it so that we can celebrate the importance of water every day. 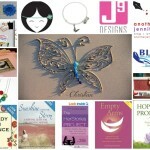 Mom Bloggers for Social Good, is hosting a Twitter chat on Friday, March 21 from 1:00pm – 2:00pm EST. You can follow along using the hashtag #WaterAidNica. Jennifer is in Bilwi, along with WaterAid America, and today she’ll be answering questions about her journey in Nicaragua. You can ask any questions you’d like. 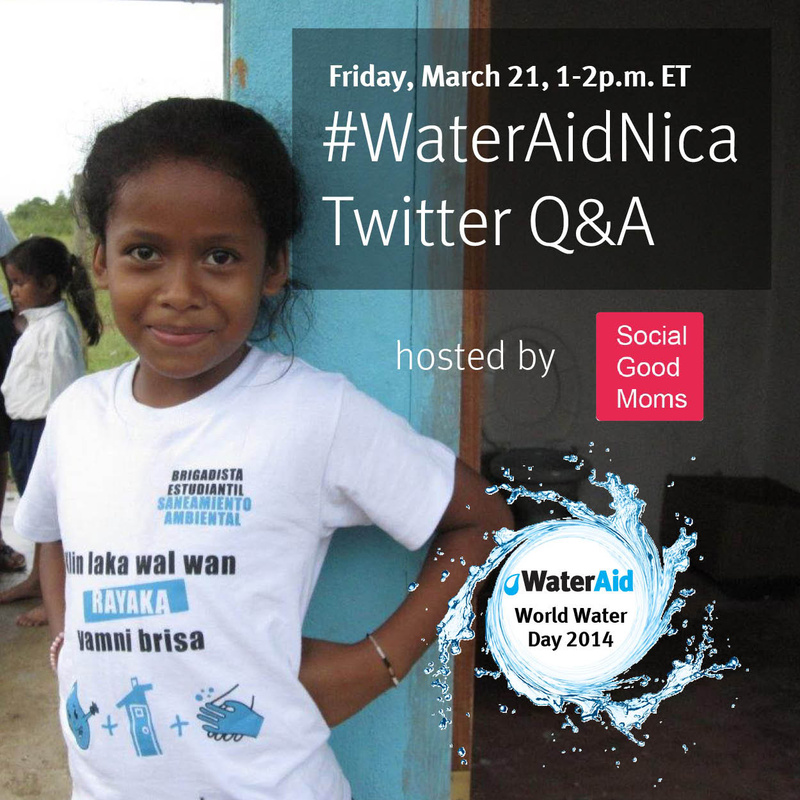 You can even tweet them to @socialgoodmoms using #WaterAidNica to get your questions in ahead of time. I hope to see you there! Social Good Mom, Jennifer Barbour, has been in Nicaragua since Sunday reporting on access to clean water, sanitation, and hygiene. Her updates have been amazing! You can follow along at #WaterAidNica. 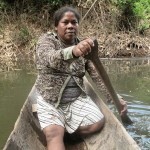 Would you help us out by spreading the word about her travels and following her? Tweet: #SocialGoodMom member @anotherjenb is traveling to #Nicaragua with @WaterAidAmerica. Follow her trip at #WaterAidNica 3/16 – 3/23. 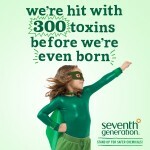 Why Wouldn’t We Want to #FightToxins Moms? Thinking about my water story has really convicted me to stop taking clean water for granted and to do what I can to make a difference in the global water crisis. You’re so right that it sounds like biblical times but is a reality for millions of people right now. Been following along Jennifer’s journey with bated breath. It’s quite a story. Thanks for posting about it too! Tamara recently posted…The Queen of Blog Commenting. It really is an amazing story! I need to catch up on her posts. Been such a crazy week, but I didn’t want to miss the twitter chat! Thanks for sharing all of this! Seeing the obvious lack of access to water is so eye-opening. We all need to be advocates to make a change.